1BR Flat with great WiFi next to the Station! 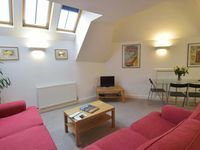 Property 15: 1BR Flat with great WiFi next to the Station! Property 16: Contemporary 1BR Apartment in Blackburn! 1BR Central Apartment - perfect for business travel! Property 17: 1BR Central Apartment - perfect for business travel! Property 18: Super Central 1BR Apartment! The Lake View Apartment. Beautiful rural location. Family friendly. Property 45: The Lake View Apartment. Beautiful rural location. Family friendly.